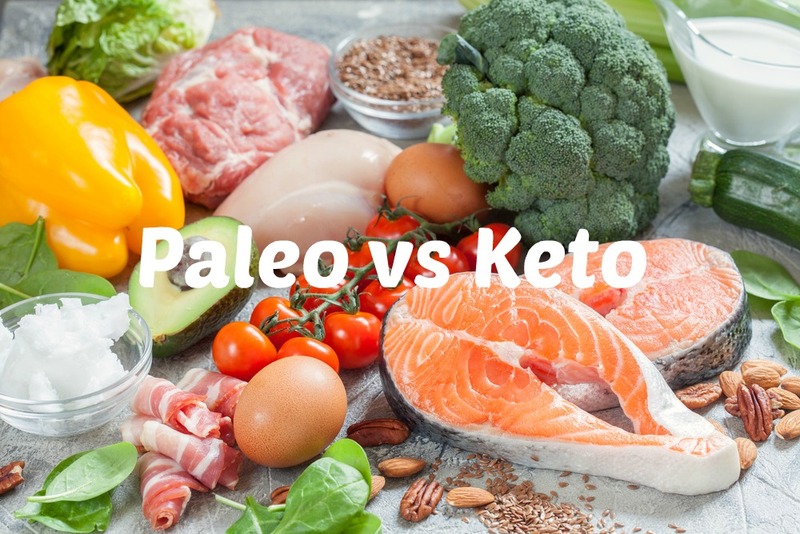 Since both Paleo and the Ketogenic diet are based on eating a low amount of carbs and burning fat more efficiently, you may question what the exact difference is amongst these two types of diet. Although there are quite a few similarities and overlapping reported health benefits, the purpose of each lifestyle is not the same. In this blog post, an overview is given on the similarities and the differences between a Paleo and a Ketogenic lifestyle. The aim of the Paleo lifestyle is eating like our early ancestors did before farming and the cultivation of animals became common. The word Paleo comes from Paleolithic, which means ‘caveman’. The basis of this lifestyle is to only include natural whole foods that could be gathered or hunted and were available during the Paleolithic era. Processed food products (in any way) or products related to civilization are not allowed. The underlying reason behind this is the hypothesis that the human digestive system is poorly developed to handle the modern diet (Hou, Lee & Lewis, 2015), which is the cause of all kinds of health-related problems such as depression and type 2 diabetes. Within the Paleo lifestyle, several versions of the diet can be found since there has been a debate among Paleo supporters on what the ideal diet should look like. For example, the allowance of eating potatoes and legumes is being discussed (Hou, Lee, Lewis, 2014). Therefore, some people allow themselves to eat legumes while others don’t. The Paleo lifestyle advocates the intake of lean, non-domesticated meats and non-cereal plant-based foods like fruits, roots, legumes and nuts (Eaton & Konner, 1985). The focus lies on the source and balance of the daily caloric intake. It is recommended to receive 30% to 35% of your daily caloric intake from lean protein such as non-domesticated meat. Animals raised on grain-based feed cannot be eaten. Regarding fat intake, the balance of the polyunsaturated fatty acids omega-6 and omega-3 should be as low as 2:1. To illustrate the difference, the ratio within a modern diet can be as high as 11:1. Furthermore, a very high fiber intake from non-cereal plant-based foods is promoted, up to 45-100g a day (Hou, 2014). Foods allowed: fruit, vegetables, non-domesticated meat, eggs, nuts, seeds, non-processed oils, honey. Foods to eliminate: grains, potatoes, dairy, sugar, processed foods like vegetable oils. Following a Ketogenic lifestyle, basically means following a low-carb, very high-fat (LCHF) diet. A Ketogenic diet has been primarily used for effective treatment of intractable epilepsy in children (Thiele, 2003). Currently, it is also being utilized in diabetic, obese, or even healthy individuals. The daily caloric intake should consist approximately of 80% fat, 5% carbohydrates, and 15% protein. This means eating 60-90 grams of net protein per day and 20-25 grams of net carbs per day (Noakes, Douglas, Allan, 2017). The aim of this diet is to switch from glucose-metabolism to fat-metabolism so that the body will be using ketone bodies (compounds produced during the metabolism of fats) for energy. In this metabolic state, the body burns fat for energy instead of glucose – it is also known as ketosis (Manninen, 2004). To be able to burn fat efficiently, it is critical that the fat content within your diet is high enough; otherwise the body will still get its energy from a glucose-metabolism. All foods with a higher carbohydrate of 5g per 100g should be avoided. The food list of a Ketogenic diet includes a green, orange, and red list. You can read the full lists in the Banting Pocket guide, but below states which products are the most common within the three lists. Green means: daily allowed, orange means: sometimes (products with a carbohydrate amount between 6 and 25 grams) and red means: not allowed. Basic products of the green list: butter, olive oil, coconut oil, meat, eggs, full fat cheese, full cream milk, non-starchy vegetables, blueberries, nuts (excluded cashews) and seeds. Basic products of the orange list: butternut squash, sweet potatoes, carrots, fruits, and cashews. Basic products of the red list: bread, pasta, rice, grains, potatoes, legumes/peas, sugar, beans, vegetable oil, and fruit juice. It has to be mentioned that a Ketogenic lifestyle differs from a Banting lifestyle. Banting means implementing a low-carb, high-fat lifestyle while a Ketogenic lifestyle is a very low-carb, very high-fat. For many people who ‘bant’, being in ketosis is an extra benefit whereas this is the main goal of being on a Ketogenic diet. Since a Ketogenic lifestyle is more extreme, you should be conscious of the fact that following this lifestyle might not be achievable or suitable for every individual. While the two lifestyles certainly have overlapping ‘rules’, the Paleo diet is not per se low in carbohydrate and high in fat, since there are no strict limitations regarding carbohydrate intake. No carbohydrate restriction in a Paleo diet means that the body will probably continue burning glucose for energy instead of being in ketosis state and burning fat. In order to be in ketosis, a specific daily macronutrient percentage needs to be implemented. A Paleo diet focuses more on the origin and the balance of the food products. Therefore the biggest difference can be found in the consumption of fruit. Eating Paleo allows you to eat all types of fruit, since they are natural and unprocessed. Eating keto means a restriction of fruits, except from low-carb variations in moderation such as blackberries, raspberries, and blueberries. In addition, the Paleo diet allows the consumption of natural sweeteners such as honey or dates. Natural sweeteners cannot be eaten while being on a Ketogenic diet because of the high sugar amount. Another prominent difference between both diets is the consumption of dairy. Dairy is forbidden on the Paleo diet because the milking of cows was not a common form of obtaining food during the Paleolithic era. However, dairy is not completely restricted when following the ketogenic diet giving that the products are full fat and not low-fat or zero fat. In conclusion, it can be said that both diets focus on burning fat efficiently by reducing the number of carbs in the daily diet. A ketogenic diet aims to put the body in ketosis state by following a diet that at least consists of 80% fat. A Paleo diet doesn’t necessarily focus on this metabolic state but more on the origin and the balance of food, coming from our early ancestors. Therefore there is a slight difference between the allowances of certain food products. A huge benefit of the ketogenic diet is that ketosis puts the body in a fat-metabolism state, whereas a Paleo diet allows the body to lean on glucose-metabolism due to carbohydrate allowance. The reliance on fat-metabolism is highly efficient for people with type 2 diabetes, obesity, and neurological disorders. The Noakes Foundation understands that there is not a one-size-fits-all approach when it comes to diet, although we do promote any diet that advocates for the reduction or elimination of refined carbohydrates and sugars from the diet. 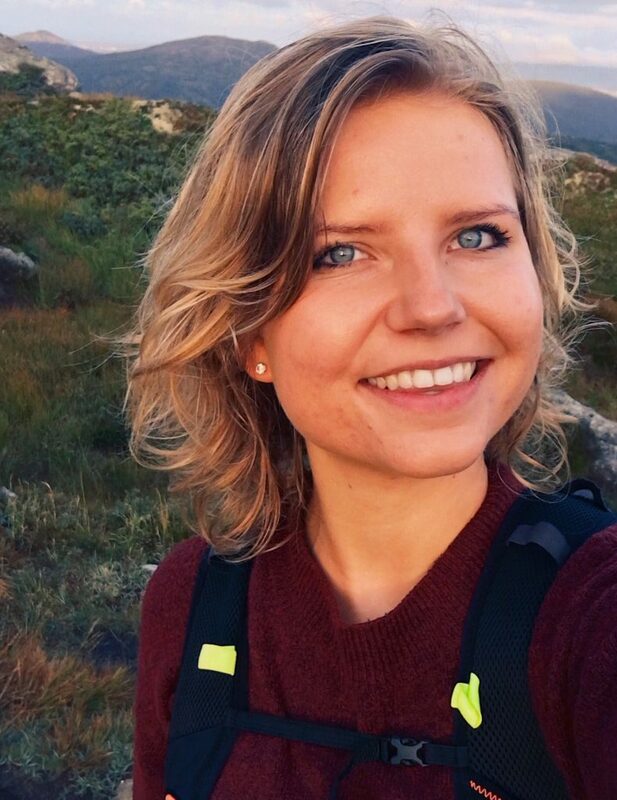 Lotte Damen is a Registered Dutch Dietitian, who graduated in July 2018 with a Bachelor of Science, as a Nutrition and Dietetics at The Hague University of Applied Sciences in The Netherlands. She joined The Noakes Foundation in January 2018 as a intern for 5 months, and contributed by writing relevant blog articles on keto-related topics. As another part of her internship, she assisted with several marketing-related projects, including the launch and development of The Nutrition Network and its online ketogenic training for health professionals. She also assisted in community work by developing a LCHF meal, and an educational program. After learning about the many benefits of a ketogenic diet, she recently founded her own website Lots of Keto. This website provides complete materials such as recipes, meal plans, and different guides for a successful ánd fun keto lifestyle. It will also be possible to get personalised nutrition advice and / or materials, by booking an e-consult. Besides her interest in keto nutrition, she is also an avid runner, adventurous cook, and enjoys spending quality time with her friends and family. For more information, contact her through lotte@lotsofketo.com, visit her website, her Facebook page or her Instagram. Eaton, S.B., Konner, M. (1985). Paleolithic nutrition. A consideration of its nature and current implications. The New England Journal of Medicine, 312(5): 283-289. Hou, J.K., Lee, D., Lewis, J. (2014). Diet and Inflammatory Bowel Disease: Review of Patient-Targeted Recommendations. Clinical Gastroenterology and Hepatology, 12(10): 1592-1600. Manninen, A.H. (2004). Metabolic Effects of the Very-Low-Carbohydrate Diets: Misunderstood “Villains” of Human Metabolism. Journal of the International Society of Sports Nutrition, 1(2): 7-11. Noakes, T., Douglas, B., Allan, B. (2017). The Banting Pocket Guide. Cape Town, South Africa: Penguin Books. Thiele, E.A. (2003). Assessing the efficacy of antiepileptic treatments: the ketogenic diet. Epilepsia, 44(7): 26-29.